tet in bihar: Bihar Tet Application Form - JSUNIL CLASSES "A SMART LEARNING CENTER"
State Council of Educational Research and Training Bihar, Patna has published the application to apply for teacher eligibility test exam ,2011. State government has announced that there will be 3 lakh teachers will be recruited on the basis of this TET exam. 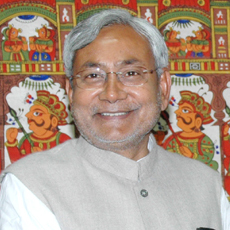 Application for Bihar TET exam 2011 will be available from 25.05.2011 to 06.06.2011. (1) Intermediate with minimum 50% marks for primary school teacher. SC/ST Male and Female – 42 years. i have CBSE student of delhi. kya me ye test de sakte hu,maine diet(jbt) ker rakhi h.
Dear sir, Meri inter me 45.11% marks hai kya mai Es test me baith sakti hu. maine inter 1994 me 2nd division se pass kiya hai,or rastriya saksharta mission me bhag bhi liya hai, or private se painting etc maine kiya hai, kya mai is teacher ban sakti hu. sir. Agar 3 form bharna hai to 3dd lagaga ya ek 300 ka. My number is 879700100. I am m.sc with b.ed when the form for +2 will publish. I am also asking the same question as RACHNA SHARMA asked posted on Sun, 22 May 2011.
plz arrange tet of 2011. 1. kya ek bar me ek admi ek hi form bhar sakta hi. 2.DD agar kahi se bana lu our form aapne home dist se lena chahu to kya mil sakta hi. 3. Quetion kis type ke puchhe jayege. plz give me information my contact no is 9304699611.
i am student of NIOS board 2011 mera 12th ka result july me ayega kya mai apply kar sakta hu ? is ther any option to fill the form online ? from where we can download the form? is there any option to fill the form online ? Are sab apply kar sakte ho, lekin lute huye form se nahi. Ab agle adesh ka intzar karo, draft banane ki jarurat nahi hai. Sidha 100 rupya do, form lo. Nishcit safalta ke liye sunil bai ke yaha coaching karo. I have completed my 12th with 54.1% marks. Can I apply for Bihar TET 2011?. I am a graduate and P.G is going on very well. i am trained from DIET Mbd(U.P),but i belong from Bihar. will i get any + point in applying for bihar TET?kindly inform me as soon as possible. There is no doubt that you are the greatest chief minister of bihar state.i think that you know very well about your success in your state.i think that our bihar will be the top state in our country.pls do something new 4 your bihar. Mohd Shahnawaz STM(Bihar). I have Pass UP Board all education,But I live in Bihar. I am the domicile of u.p.& I have done my Bed.in 2007-08.I want to apply in tet exam so please send the syllabus of bihar tet exam on my email. i am student of NIT-allahabad B.Tech 3ard year i am also intrast in this form .what can i fill this form. pliz send me bihar tet syllabus. I am Jitendra Kumar Parit My qualification is A.B Geography Hon. I have basic Knowledge of Computer and one-year experience data entry please tells me comment because I want to jons of teacher and send me TET exam syllabus. i am intrastate to need which type of quo.this which type of examination in written and oral. sir, eska result kab tak declare hoga..plz mujhe bataye..